A quick look at FullBlast reveals all the trimmings of a solid shooting game. Campaign mode sends you through 12 randomized levels as you attempt to save the world from an alien invasion, armed only with, well, your extremely well-armed fighter plane. Hey, just because you've got all those guns and bullets doesn't mean this is going to be easy. FullBlast focuses on intense action and a sturdy level of difficulty. No hand-holding, just like the old days. The visuals were also inspired by 80s and 90s fare, right down to the octopus tentacles flailing out of the ocean, like we all remember from those days. Those dark, slimy days. Power ups and power downs! The bestest bit about FullBlast is that is supports two player local co-op. To simulate the feeling of standing in front of an arcade cabinet with your buddy, cover your gamepad in sticky crud and play a cassette tape of children making a lot of noise. It's like 1989 all over again. 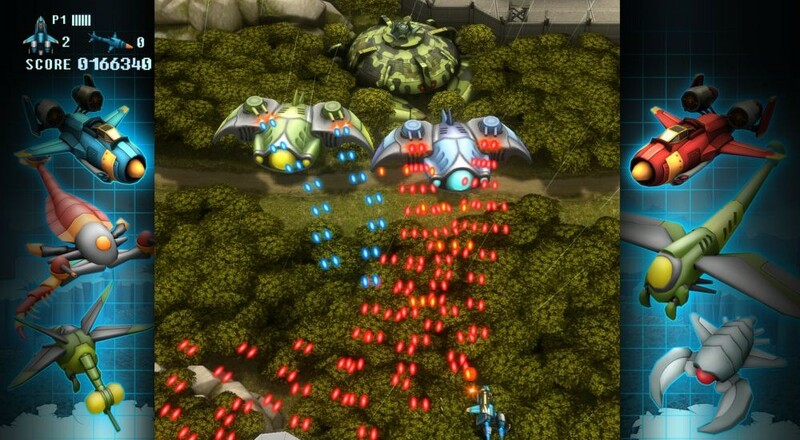 FullBlast is currently available for Wii U and Ouya and will be coming soon to PC via Steam. Both versions support two player local co-op. The game also happens to be available on Android and iOS, though don't expect much in the way of co-op on those itty bitty screens.